Personalized, compassionate and adaptable in-home care. Discovering a beloved friend or family member has been diagnosed with cancer can be heart-stopping. It’s difficult to know how to respond, and we may be fearful of saying or doing the wrong thing – regrettably, often leading to distancing ourselves from the person with cancer as a result of our own distress. But as you can imagine, what a person with cancer requires more than anything is a strong system of support. Compassionate Nursing Services, top providers of St. Louis home healthcare services, shares the following helpful tips to decrease the struggles surrounding caring for those with cancer, permitting you to feel more confidence, less anxiousness, and to develop a stronger bond with your loved one. A diagnosis of cancer can be life-changing, and although it goes without saying that the person being diagnosed needs time to process this news, his or her family and friends also need to have plenty of time to prepare and empower themselves to be able to supply the best level of support. First and foremost, educating yourself as much as possible about the individual’s specific type of cancer is especially helpful in knowing what he/she will be dealing with in the near future, such as treatment plans, side effects, and emotional and physical changes. Next, try to place yourself in the individual’s shoes. You may not have ever been diagnosed with cancer, but thinking back on a time when you were sick, hurt, or frightened can help you ascertain what could have brought you the most comfort. Determining what to say to a loved one during this time can be one of the most overwhelming challenges for friends and family members. Remember that it is completely acceptable to tell the person you’re unsure what to say, and oftentimes your presence is more than enough. Letting the person know you care and that you are on hand to listen and provide help in whatever way he/she needs is a perfect place to begin, and let your loved one explain what he/she needs from there. Above and beyond serving as a compassionate presence for your loved one with cancer, try making specific suggestions of tasks you’re willing to assist with whenever needed, like picking up groceries, helping with housework, preparing daily meals, or supplying transportation to medical treatments and appointments. Providing the assistance of a qualified in-home caregiver, such as those at Compassionate Nursing Services, is a wonderful solution as well, enabling your loved one time to rest and spend quality time with family and friends, while remaining safe and well cared for at home. 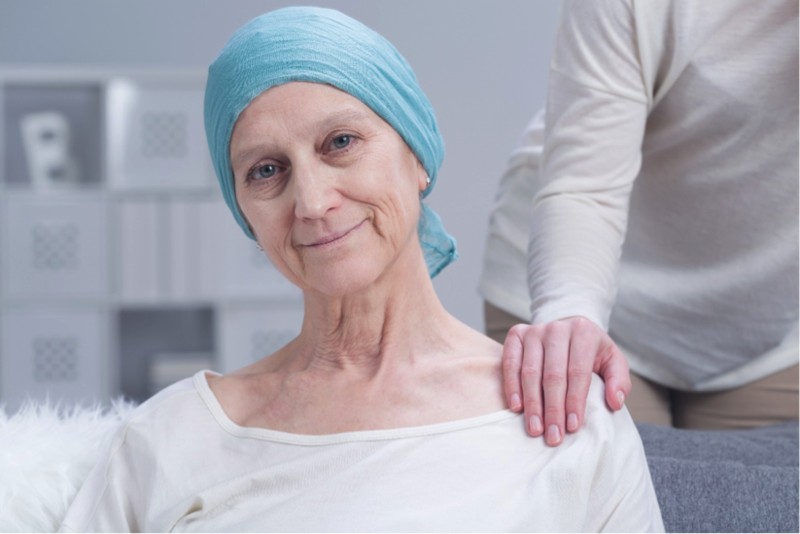 Supplying a full range of dependable St. Louis home healthcare services for those struggling with cancer, we’re available for as much or as little help is needed. Call us at 314-432-4312 to learn more.